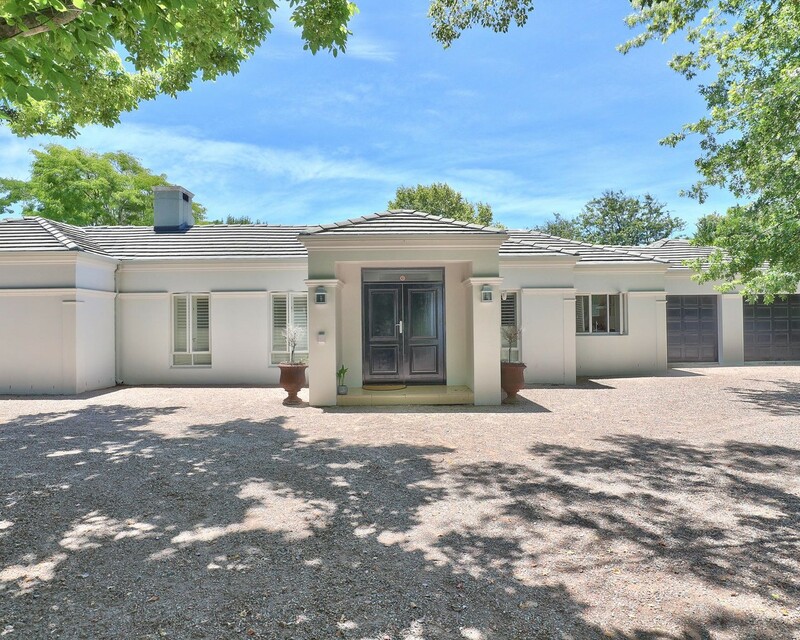 This modern, executive-styled home in Constantia Rural offers an open plan living / dining area and modern kitchen. The reception rooms open onto a covered patio overlooking a sparkling swimming pool and spa bath. Three spacious bedrooms of which two are en-suite as well as a family bathroom with an additional TV lounge attached to the third bedroom. The oversized double garage enters directly into the kitchen and a carport allows undercover parking for another four vehicles. The property also offers staff accommodation as well as plenty of room for expansion. Additional features: American shutters fitted throughout the reception areas, solar geyser, underfloor heating, borehole, additional off-street parking for +-6 vehicles.